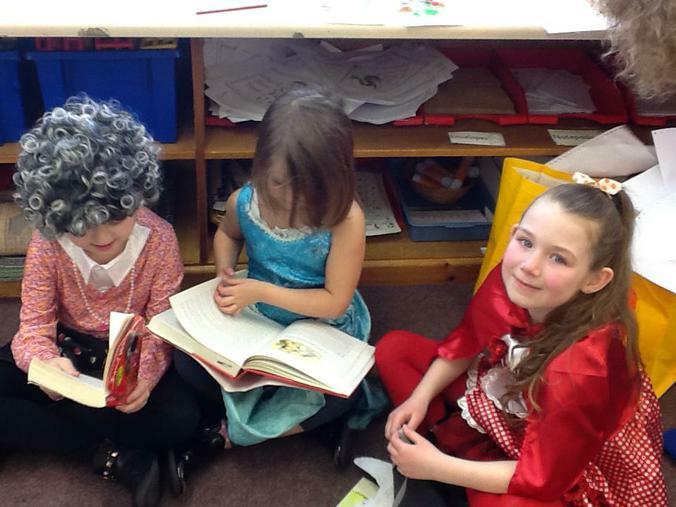 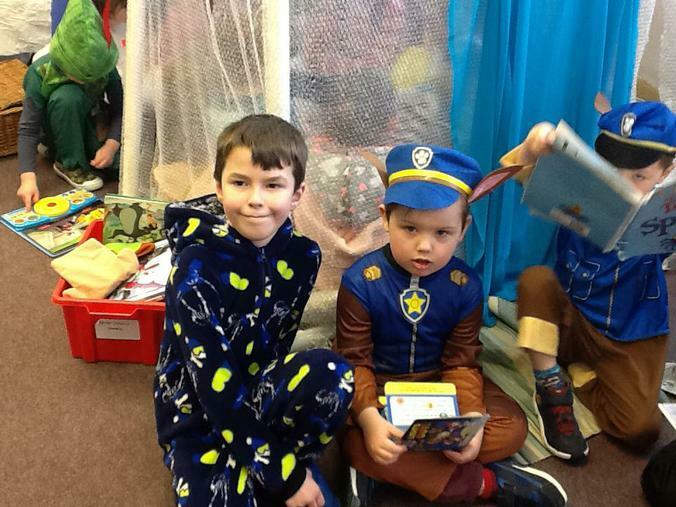 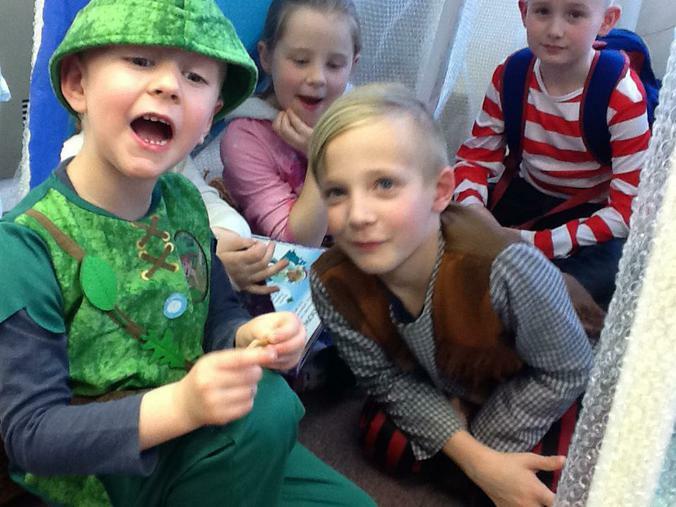 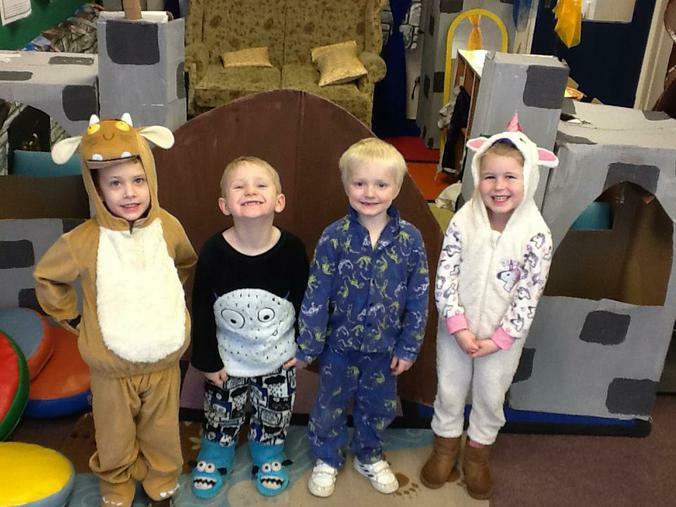 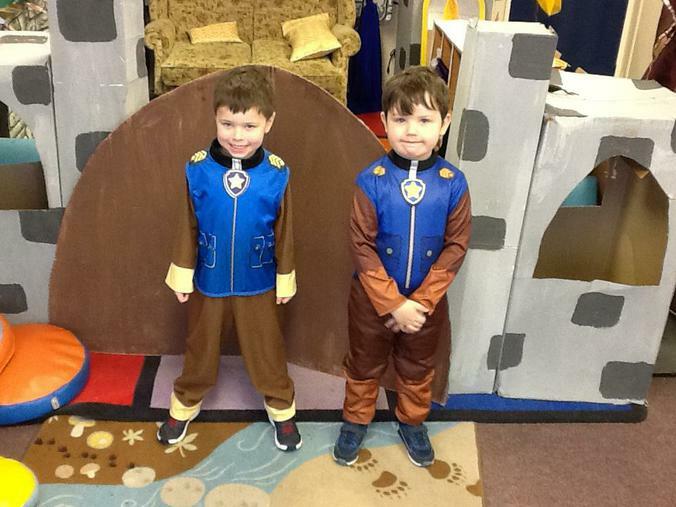 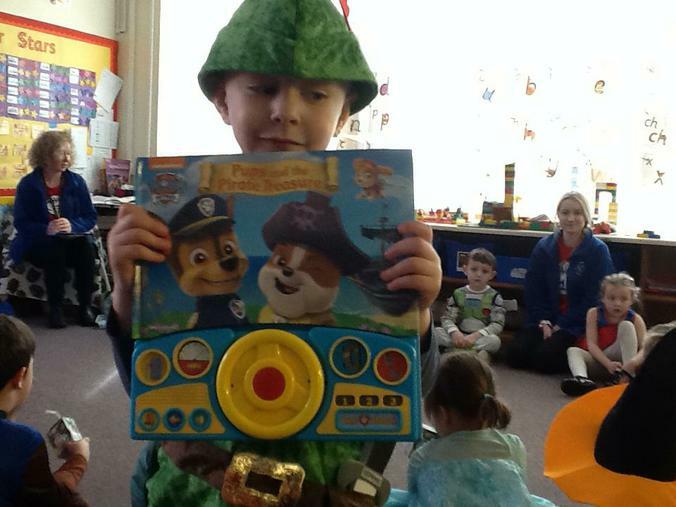 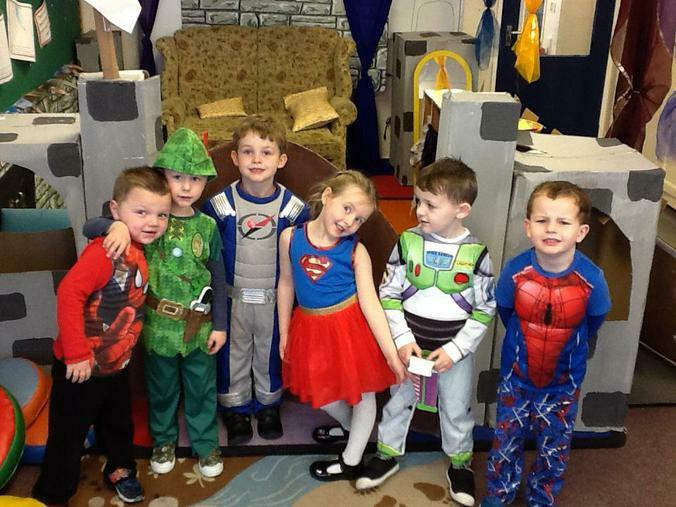 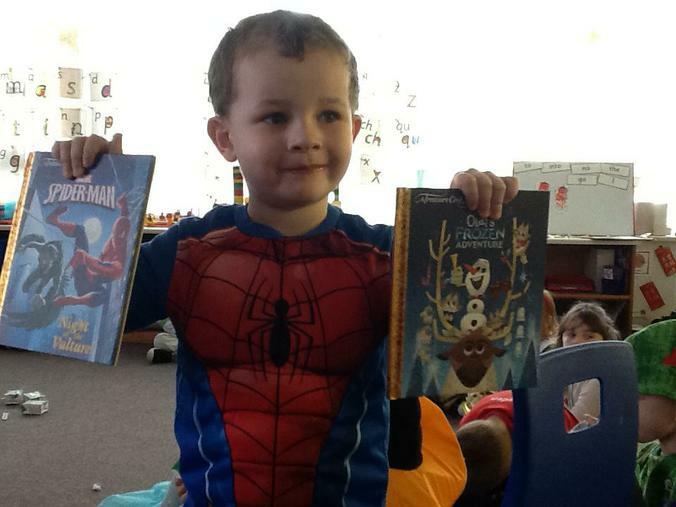 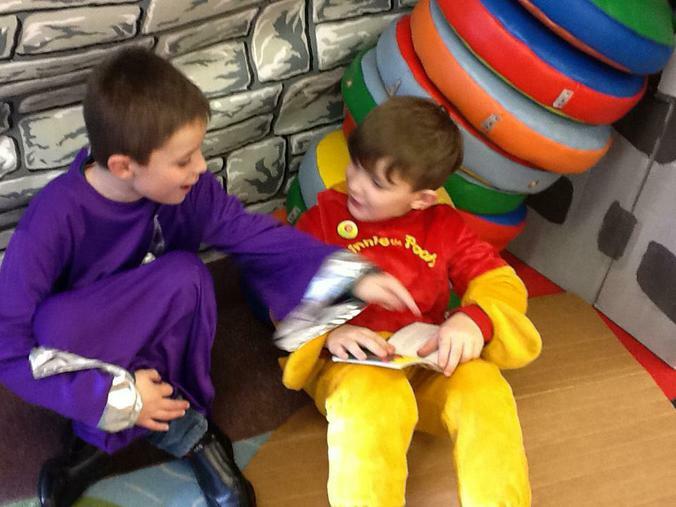 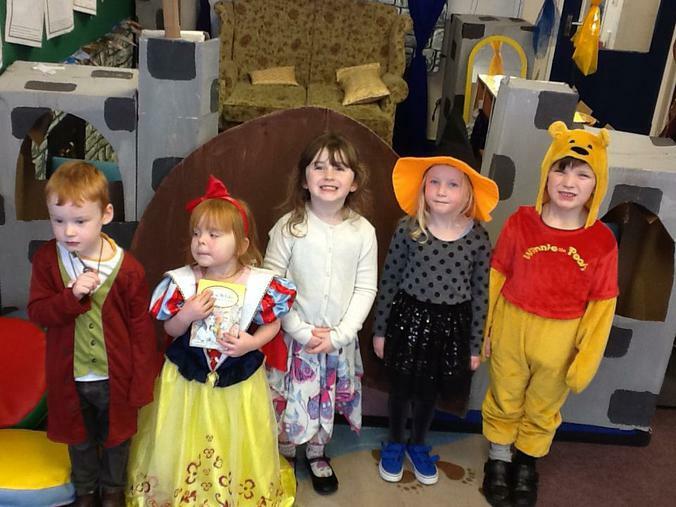 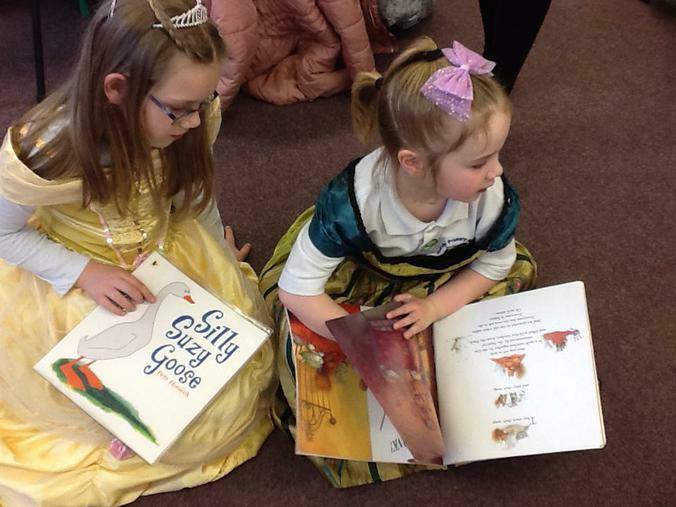 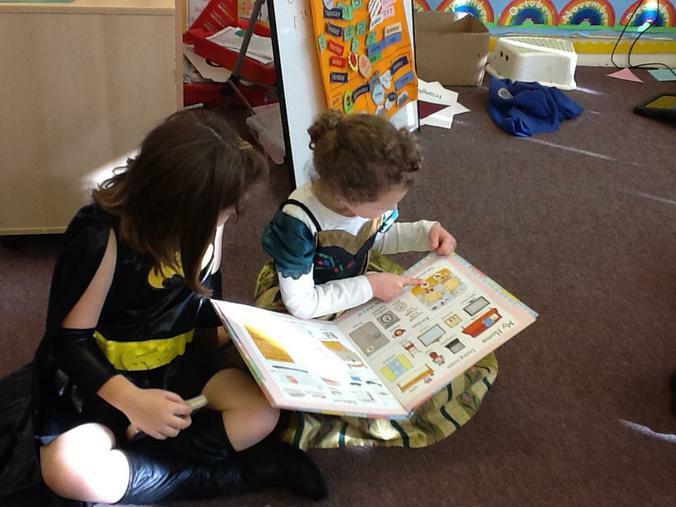 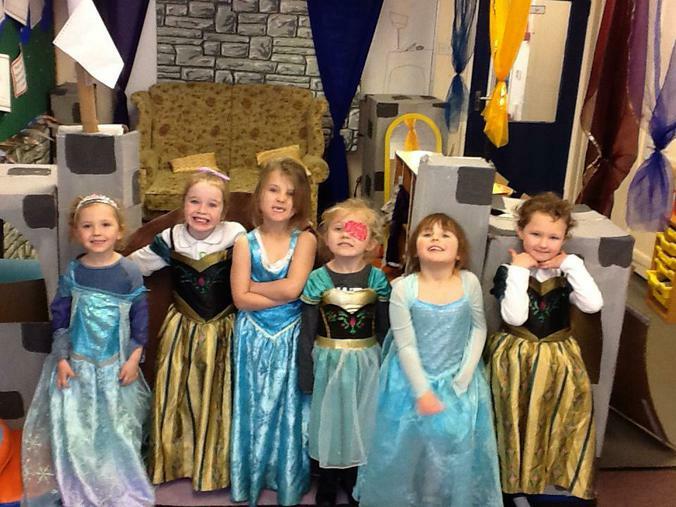 Look at our fabulous costumes for World Book Day! 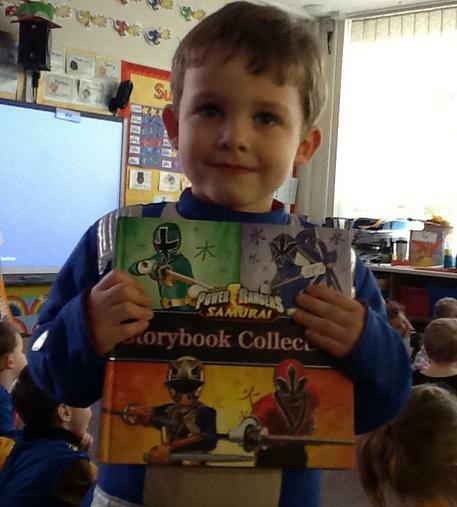 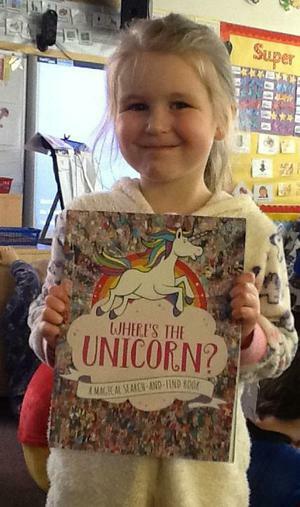 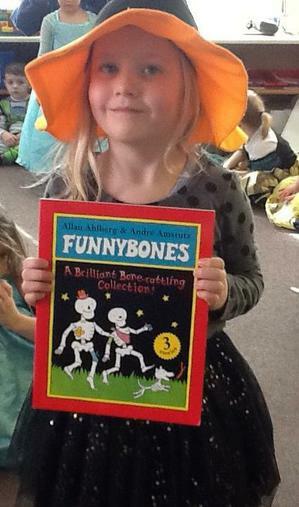 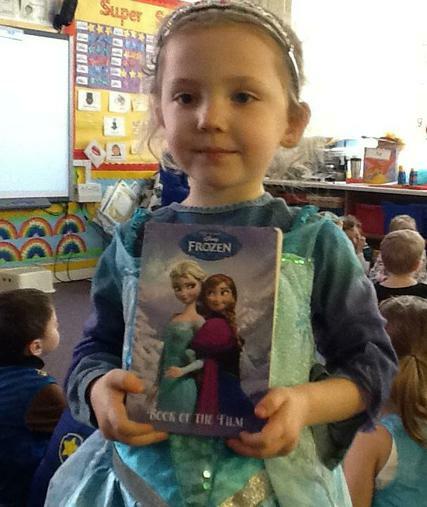 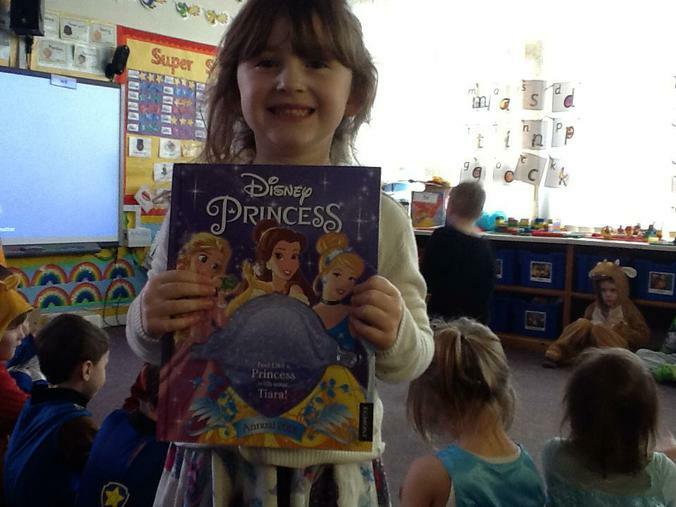 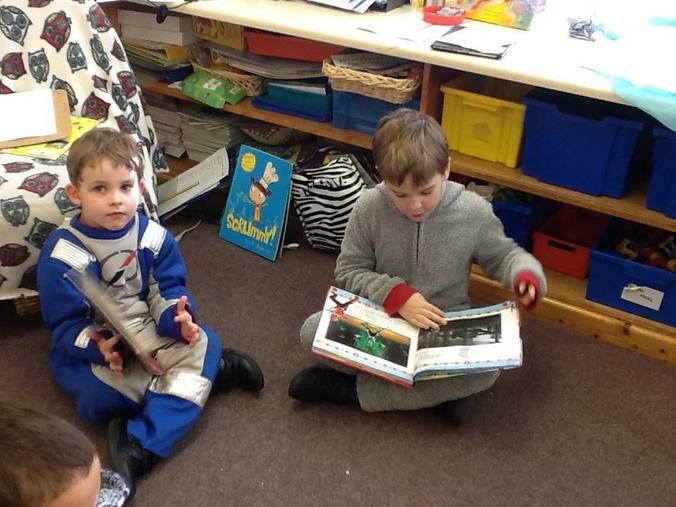 We even brought in books linked to our topic or our favourite books and shared them with our friends. 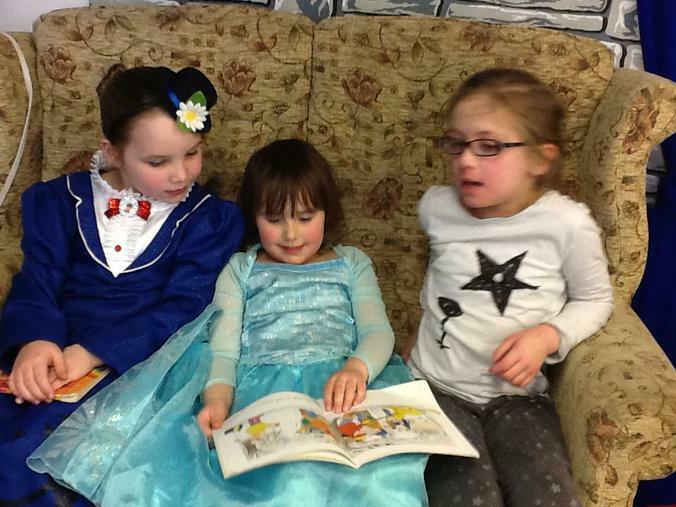 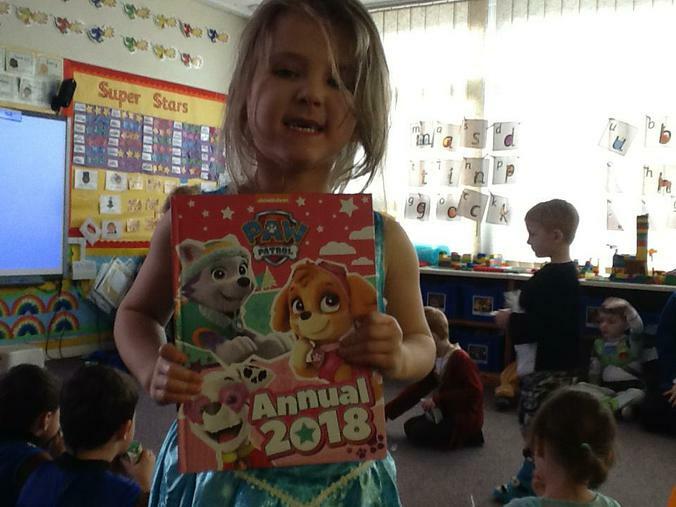 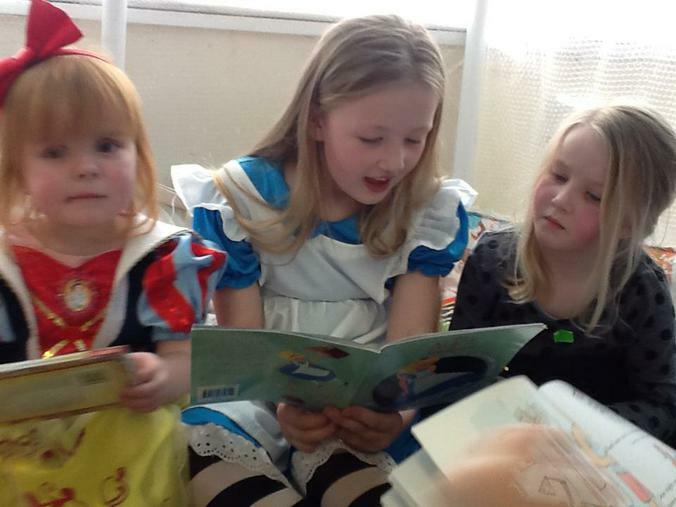 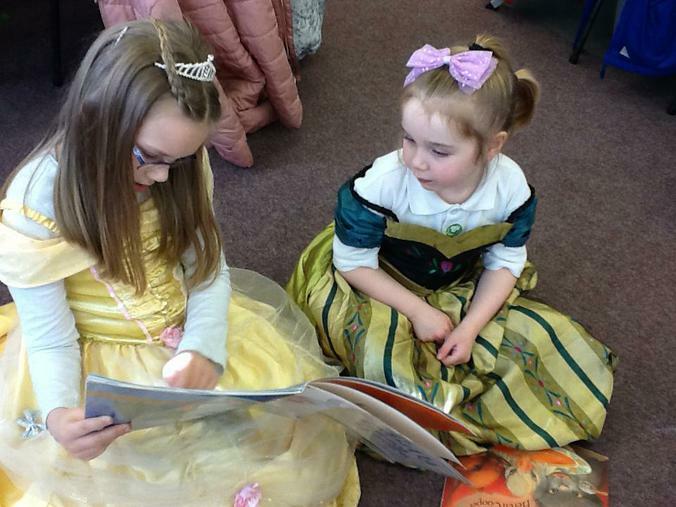 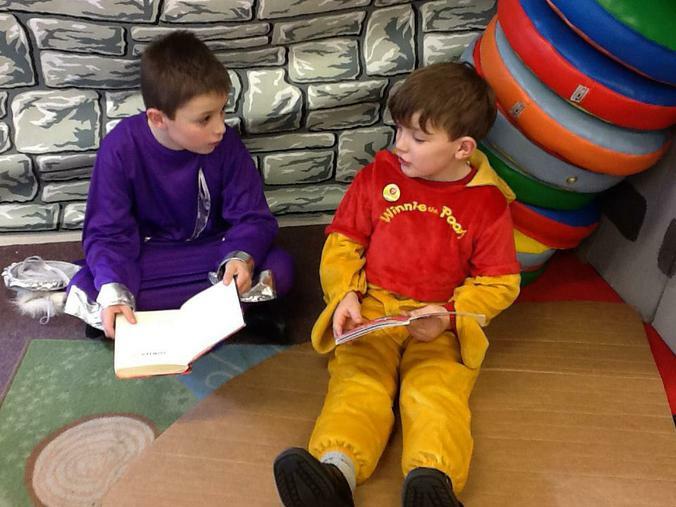 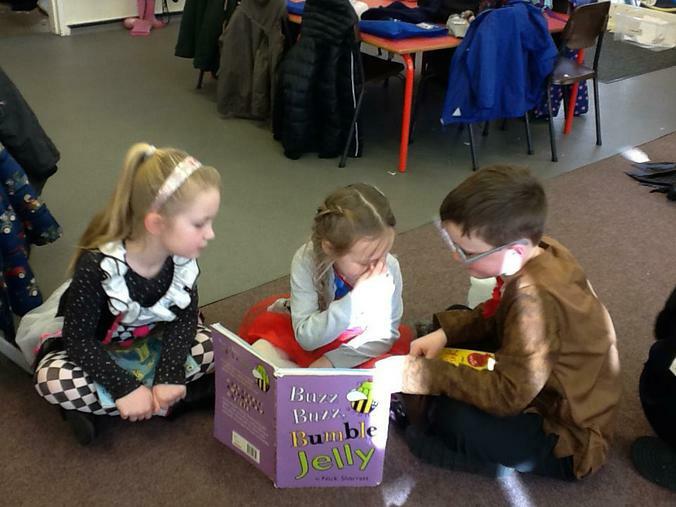 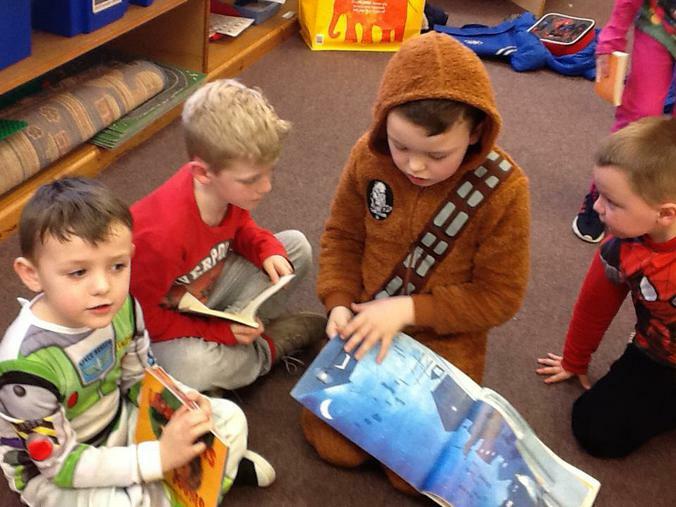 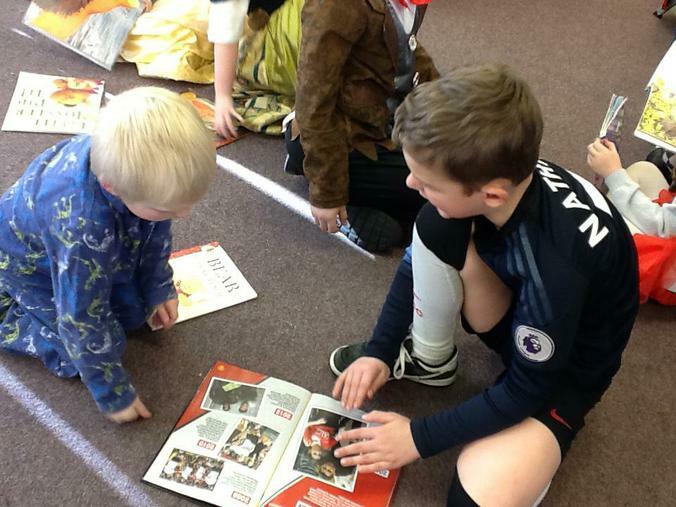 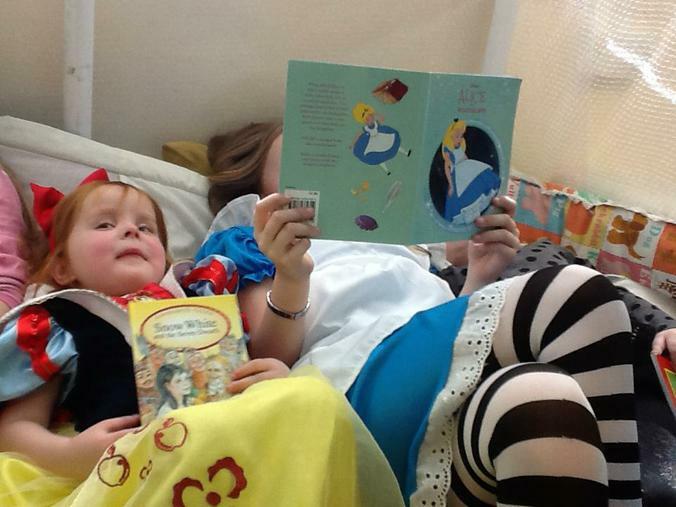 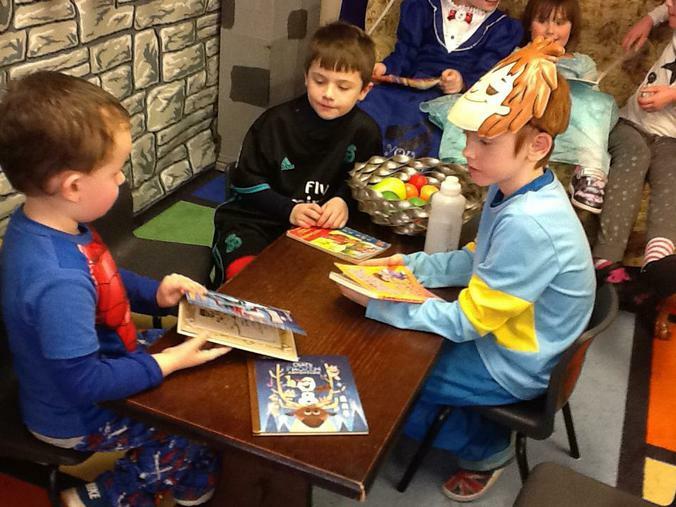 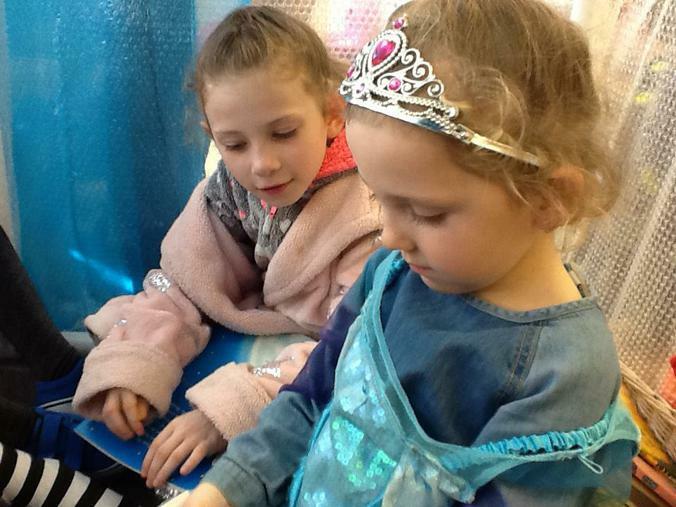 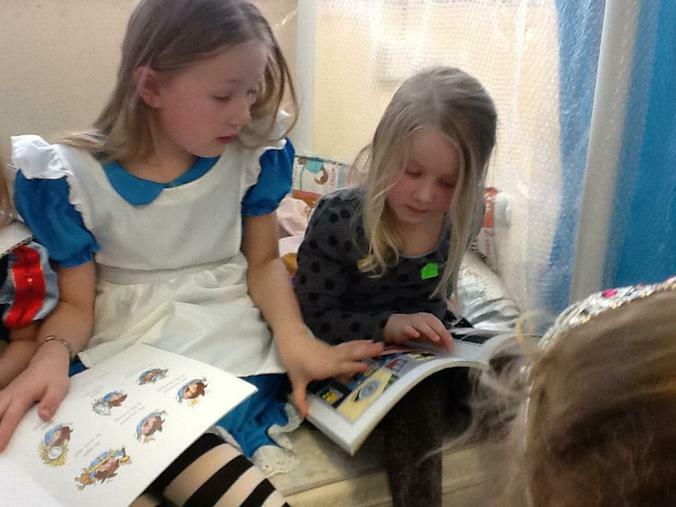 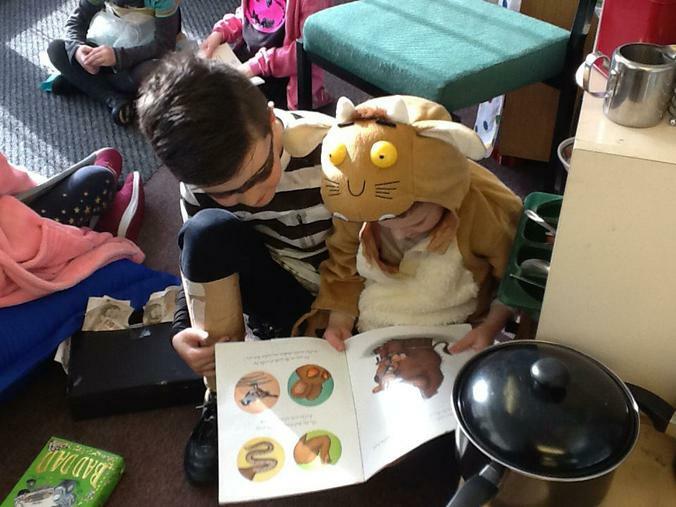 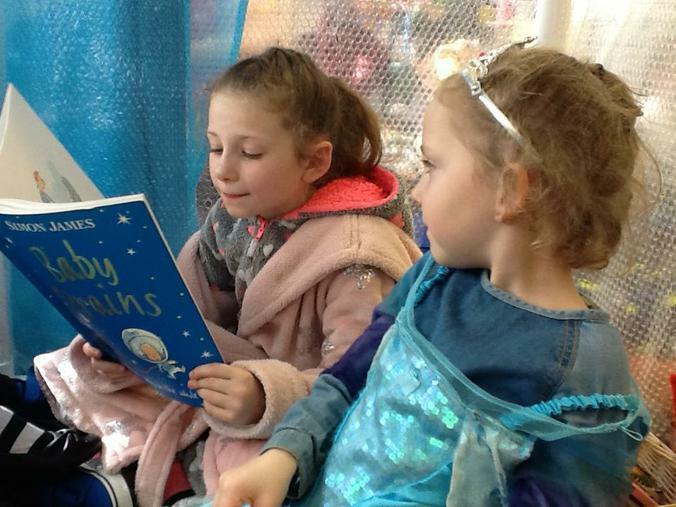 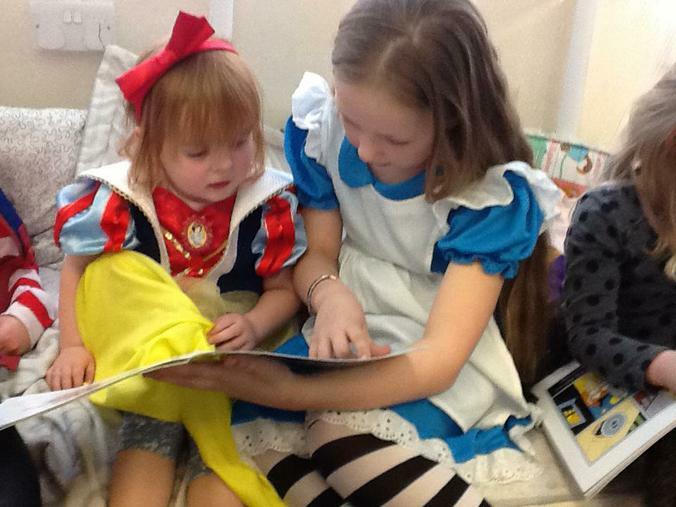 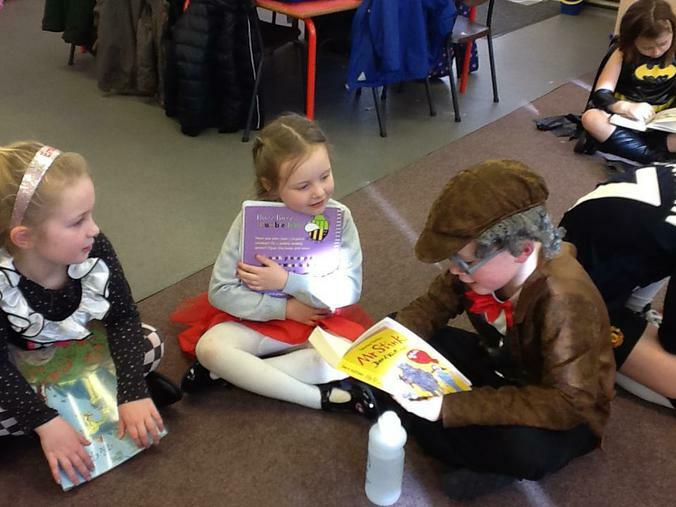 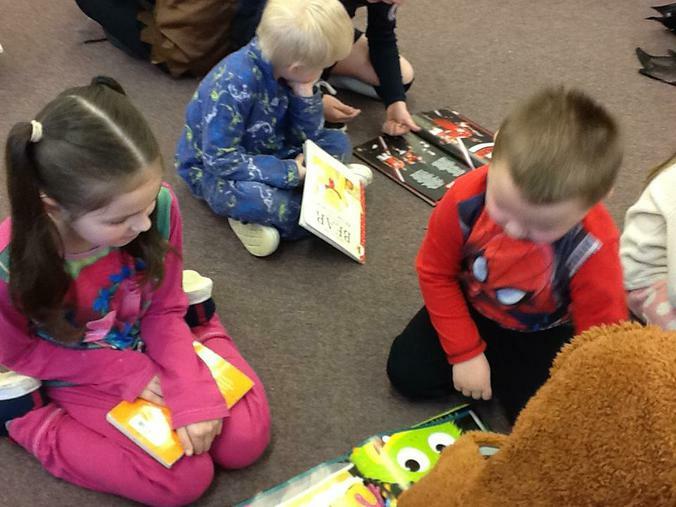 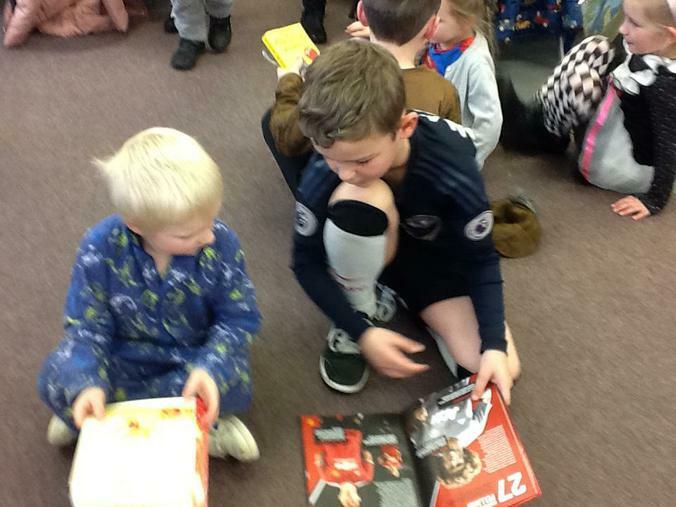 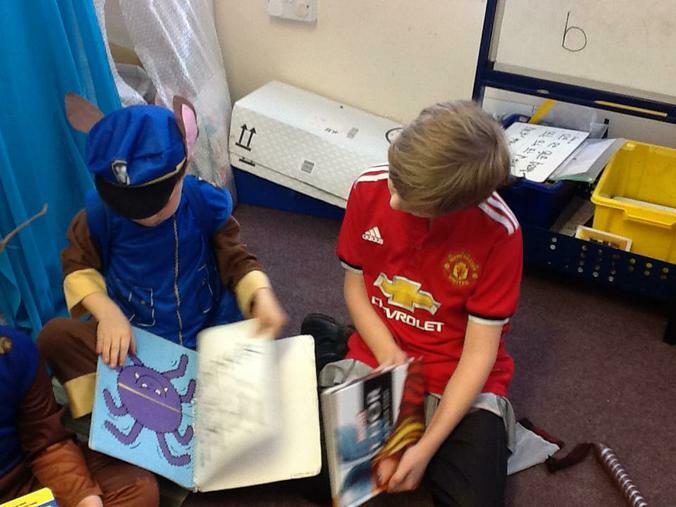 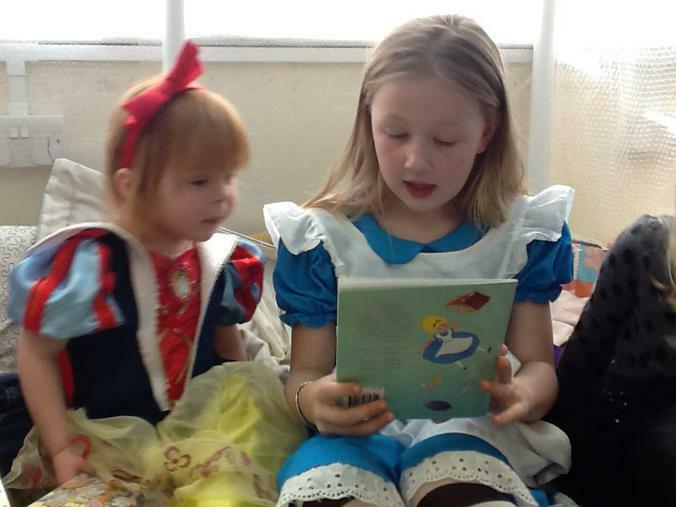 After sharing our books with the class in the morning, in the afternoon we had a special World Book Day, Drop Everything And Read session. 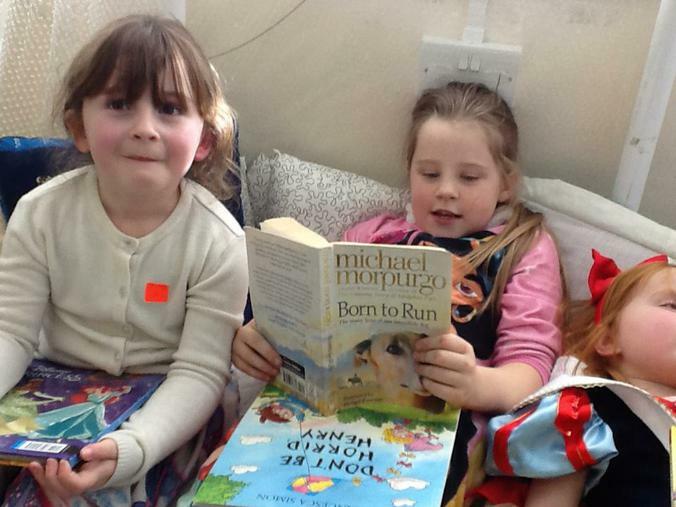 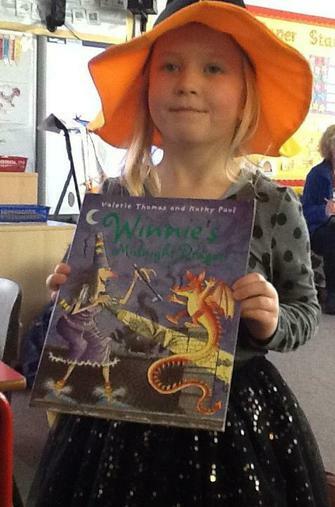 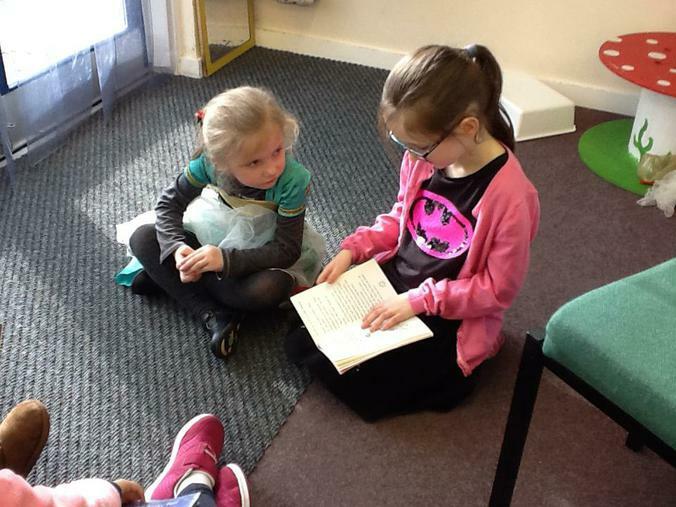 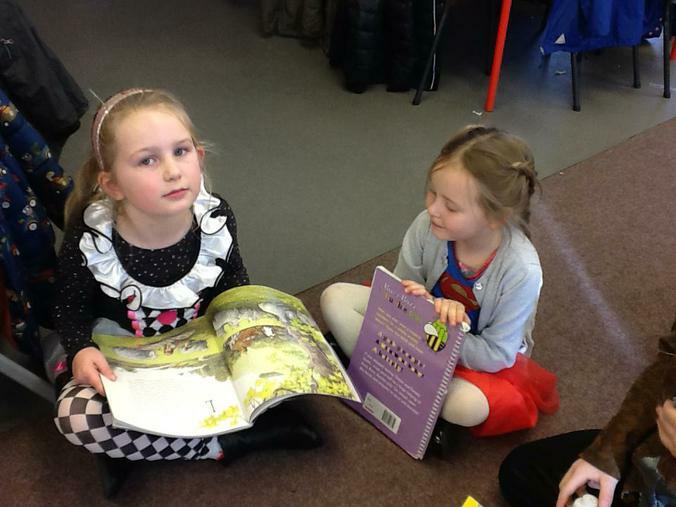 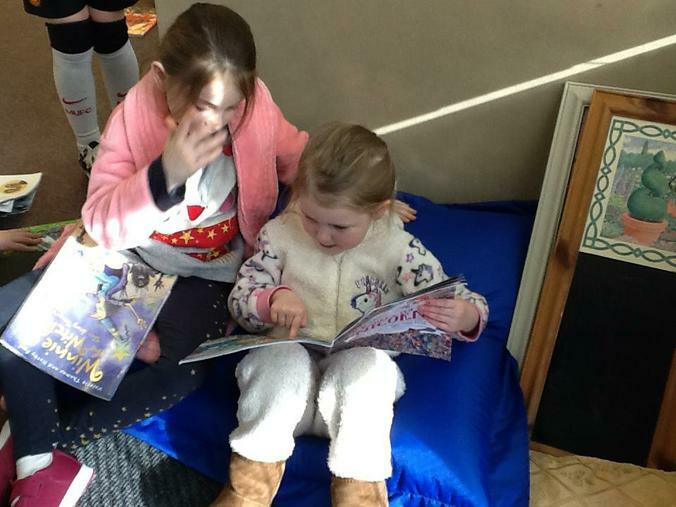 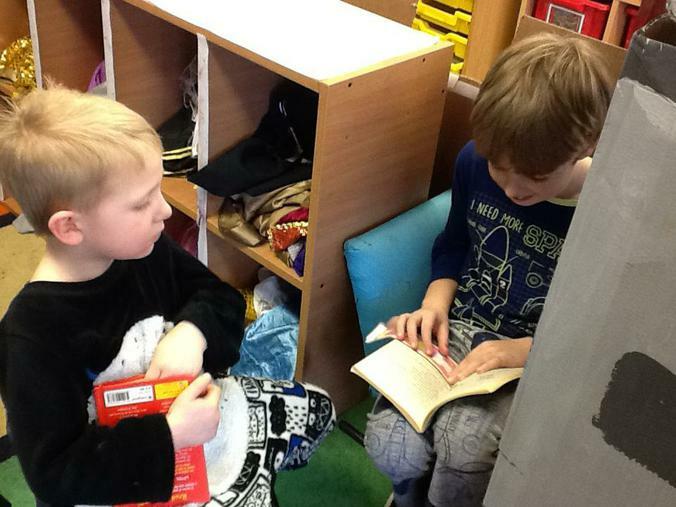 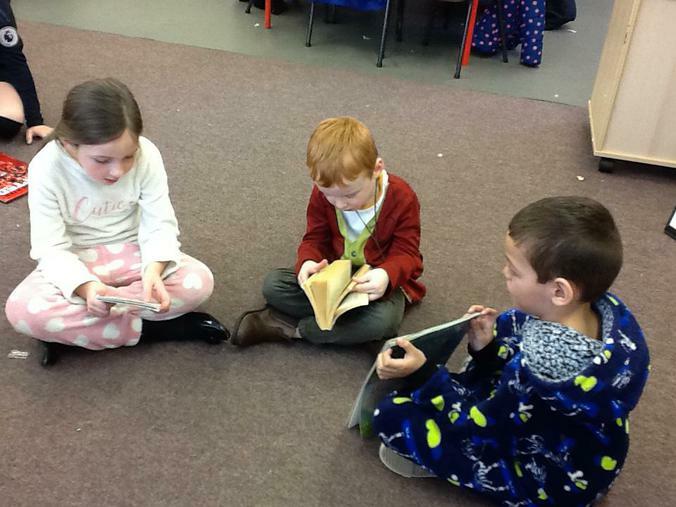 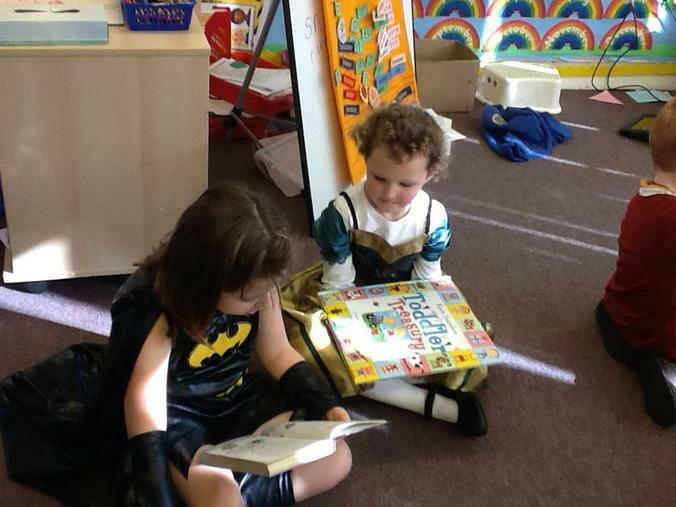 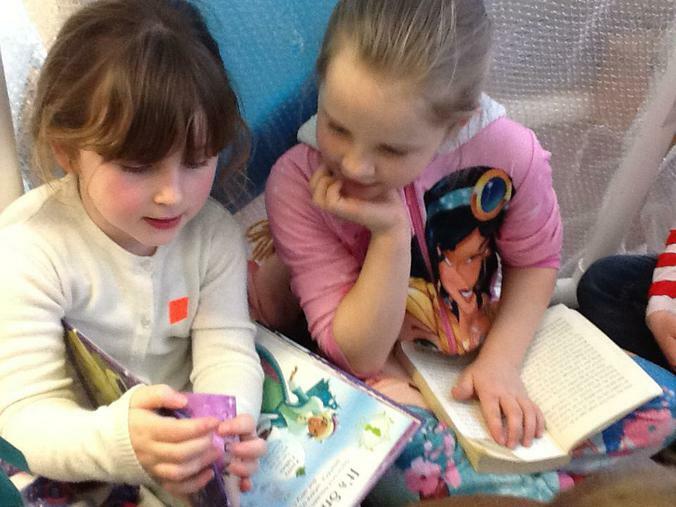 The Year 3 children came down to our classroom and we shared our books with each other.